Author: Long, John Set In . . . This extraordinary book is the first-person account of John Long's two unforgettable "summers" on the southern continent. Told in a highly accessible and entertaining style, Mountains of Madness is the account of his three-month long fossil hunt. As the story unfolds, we learn of both the highs of scientific discovery as well as the grueling yet essential routines that must be practiced every day just to stay alive in one of the harshest environments on our planet. 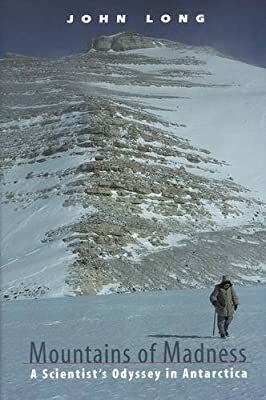 Alternating with the author's wonder at the intense beauty of his surroundings are his immense frustration and boredom that stem from being completely at the mercy of the elements. Throughout the course of the expedition, danger is never far off in this inhospitable land. Despite having been trained in the art of building snow caves and practiced in the skill of traversing glaciers, Long tells of two brushes with death in just one afternoon. The hair-raising escape from a deep crevasse is fraught with tension-only to be followed by yet another encounter with sudden disaster when the crash of an avalanche buries Long deep in the snow.